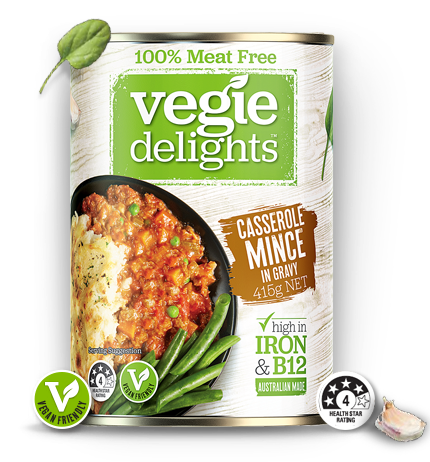 A 100% meat-free filling ideal for cottage pies, stuffed veggies, vegan samosas & more – made right here in Australia. Stove Top: Empty contents into a saucepan and cook until heated through thoroughly. Microwave: Empty contents into microwavable bowl, cover and heat on high for 2 mins, or until heated thoroughly. Cooking times may vary. Ensure product is heated thoroughly and evenly before eating.